In a recent process to update all of Apple’s stores, Apple Bluewater in the south of England has recently reopened to the public today, having all new displays such as the newly introduced ‘Today’ seating and stage area and other displays showing off the newest accessories for the products. The new floor layout is what Apple call a ‘2.0 Layout’ with all their devices laid out, along with the accessory workbenches and HomeKit showcase. All Apple Stores are hoping to have these features in place; in an attempt to modernize their stores and attract customers with their tactic of interaction. The store has been under renovation for 9 months, meaning that customers have had to divert to other stores but listings on Google and on Bluewaters’ floor & store plan still say that the store is closed or non-existent.  Appleosophy COO and CVO, Chris G and Eddie V have bring you pictures, videos and other miscellaneous media from the opening. Be sure to check our other forms of social media to see all forms of our content.